Ici-Bientôt initiates a new dynamic in the Beaubrun neighbourhood to fight against the increase of vacant shops and breathe new life into the changing neighbourhood. 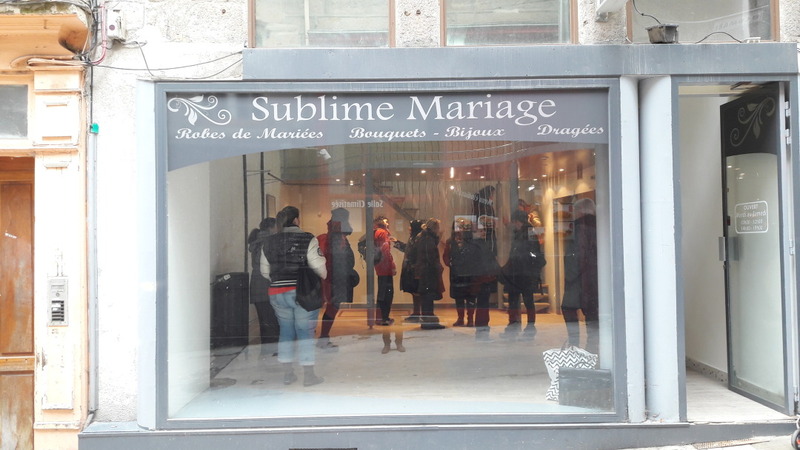 On 8th January, an unsual crowd was standing in the premises of a former wedding accessories shop in rue de la Ville. 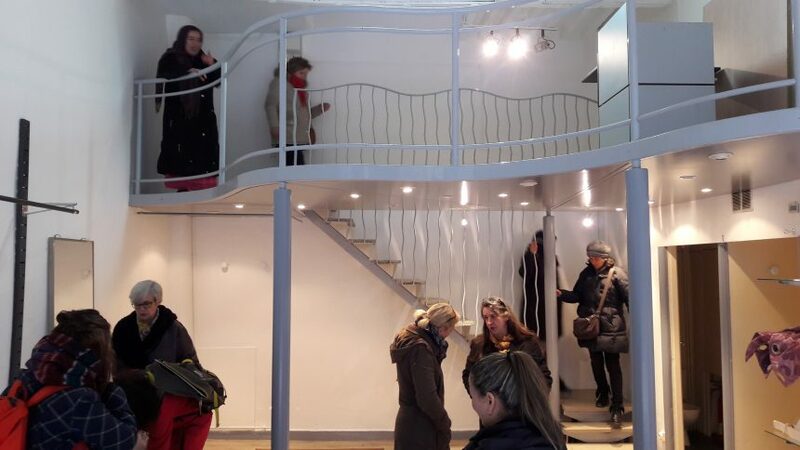 It was the second visit of potential premises for the Ici-Bientôt team together with the artisitic association “les moyens du bord” and the association of education “Terrain d’entente”. A visit to examine the space, imagine new uses and identify the works to do to host various activities. Writing workshops by the association “Les moyens du bord”, about the project “writing on Beaubrun district”. During the Biennial, various writing workshops exisiting in Saint-Etienne willl gather here and will be open to new participants. A tea house for the users of Terrain d’entente association, which proposes workshops and activities for the families of the disctrict. The volunteers will be present during the whole Biennial period. Some afternoons will be dedicated to writing workshops, especially for children, in partnership with the Saint-Etienne public Library. This re-occupation of a vacant premises is one of the projects led by the experimentation Ici-Bientôt : identifying vacant shops, their status, their owners and connecting them with projects’ holders looking for a space for their activities and accompanying them in their project, thanks to the expertise of CREFAD Loire, one of the members of Ici-Bientôt group. It will a prototype in test during the Biennial month, but the wish is to perpetuate these activities on a longer term ! We wish it will be a success ! More info about its programme and activities you can find here in FR and EN or you can follow the programme and stories on http://ici-bientot.org/ and www.facebook.com/icibientotsaintetienne.